22-year-old Swedish Producer Discrete, the moniker of Augst Ramberg, has just unveiled his debut single Never Know, featuring singer-songwriter Maria Mathea. This is a highly infectious track which makes for a perfect introduction of his music to the world. 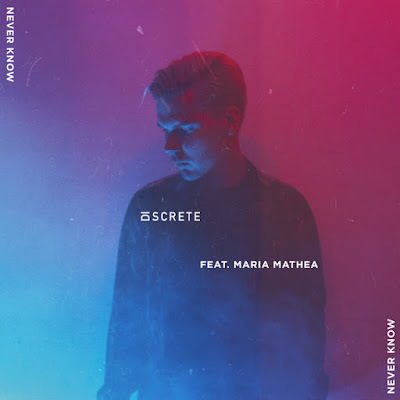 Maria's soulful vocals soar perfectly over Discrete's flawless execution of an amalgamation of elements of reggae, electropop and trap music. Without You is a great song for the weekend, perfect to dance and sing along to. Stream it below! Our first idea behind the track was to mash up different genres and see how we could make them fit together – we took reggae influences and layered them on trap arrangements and ideas. I think it’s important to try and push boundaries of genres, otherwise music doesn’t progress. Kirsten Joy and George Dennis wrote an amazing topline and lyrics, while it almost goes without saying how much Maria Mathea killed it delivering the vocals.